In reading this koob, you will discover how to create a serene and healthy working atmosphere. - that the best way to do more work is to have less to do: you have to know how to say no to get some time back. 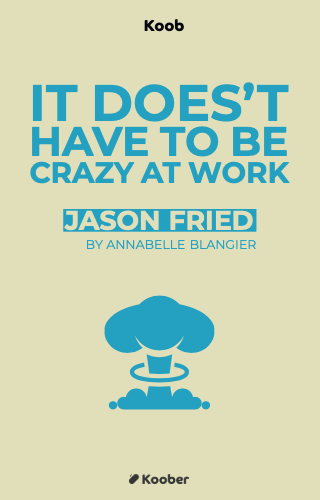 How many times have you heard someone say, “things have been crazy at work”? Maybe you've even said it yourself. But why all this madness? Today, being overwhelmed and exhausted has become a symbol of success for many people. People work more, but accomplish less and less, because they waste a lot of time on trivia. Hours are wasted on meetings, distractions, and inefficient work practices. Chaos should not be the hallmark of the workplace and anxiety is not a prerequisite for progress. Jason Fried and David Heinemeier Hansson are the managers of Basecamp, an application used to organize projects and internal communications. 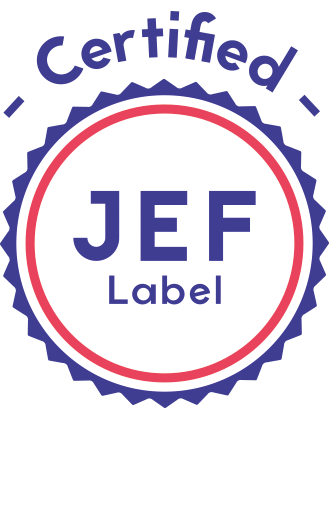 They have created a healthy and sustainable company, and hope to be an inspiration for change. To this day, running a company with peace of mind is unfortunately not the custom. Put toxic standards aside and finally recognize that when it's crazy at work, there's a problem!